An innocent maid? I think not! We had a mammoth session on Sunday – about 7 hours. And it was also one of the best games in recent memory. Why? Because it was tense. The party had something to lose, and a very real possibility of failing. The fact that I didn’t even score a wound on any of them was irrelevant. Obviously creating tension can’t work all the time, people will get used to it and it will lead to complacency. But on Sunday it worked. We started with a tricky battle; two wyverns attacked as the party was crossing a river. Those in the river were stuck, the others had to make successful Riding rolls in order to get their horses under control. My devious plot element was that this was all an excuse to separate the princess that the party was escorting from the rest of them. After several rounds with the wyverns swooping past at speed, picking up guards and dropping them, being missed badly by arrows, they took down first one and then the other with variants of the entangle spell. Once immobilised they were easy pickings. Then it was onto the trail of the princess, whom they eventually found in a bloody heap. Next bit of tension: Is she alive? Yes, but in a bad state after having been severely mauled by a large wolf. Next bit of tension: What sort of wolf? What now? She was obviously past healing (SW requires that all mundane and minor magic healing take place within an hour of the injury taking place) and needed taking to a healer. Next bit of tension: Can we get her back alive? Healing rolls please. Back at the monastery they started from and it’s a question of waiting for natural healing. A slow process. Someone comes up with the idea of testing her with silver; she flinches. 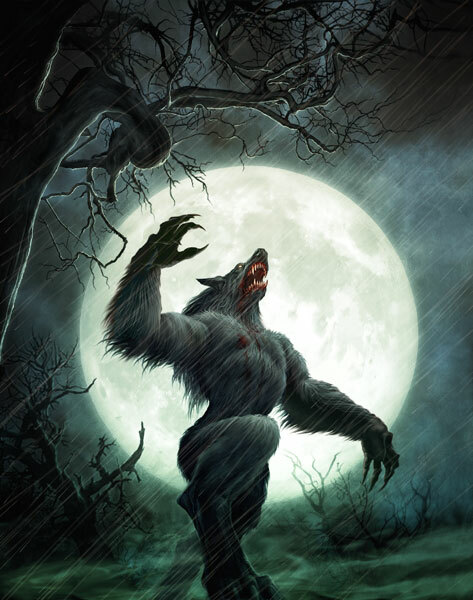 Next bit of tension: Can we find a cure for lycanthropy? The monks find an ancient manuscript outlining three components which could be combined to form a cure; an aliquot of quicksilver, wolfsbane from the grave of a saint and some blood of the werewolf that infected the victim, taken whilst it is in human form. It must be administered before the second full-moon as a werewolf. Next bit of tension: Can we find the ingredients for the cure, and can we find them in time? The first task the party undertook was to find the blood of the werewolf. Returning to the scene of the attack they tried to track the wolf that attacked the princess. Despite having psychic tracking it wasn’t certain that they could find something to track them with (Next bit of tension). Eventually they picked up the spoor and followed it to a remote forest cabin. 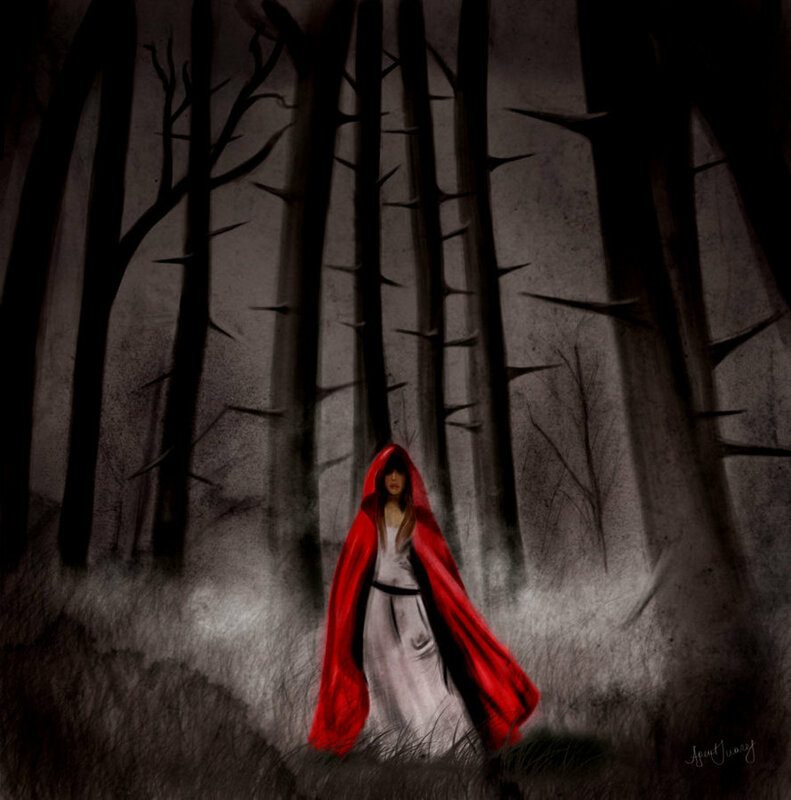 En route they came across a girl in a red cloak carrying a basket to her grandmother. 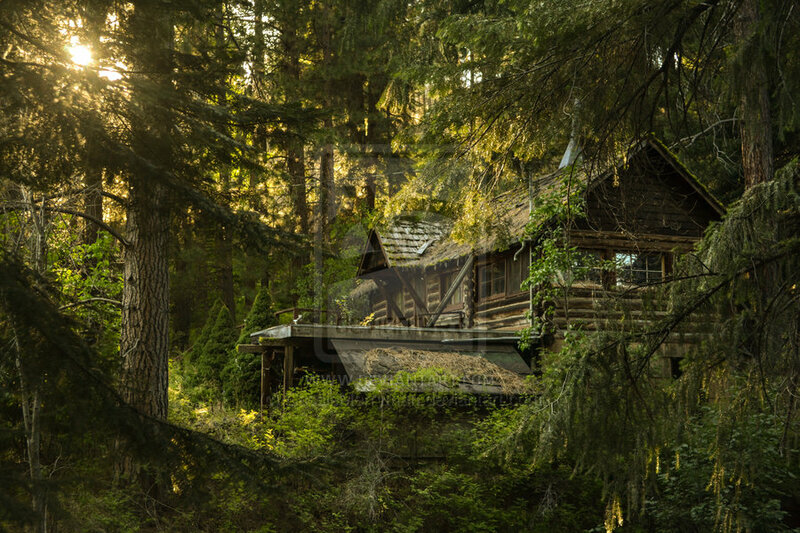 Do we enter the cabin with the girl or not? How to we make sure it’s the right werewolf? How do we get blood from it whilst it’s in human form? (Next bits). It came to the inevitable fight in the cabin after the it became obvious that the girl was the werewolf responsible and I twice came within a dice roll of having her escape through the window (Next bit of tension). Finally she was subdued, but wouldn’t turn back, escaped her bonds once, but come dawn she reverted to human form. Although I wouldn’t have allowed them to fail all of these tests (the princess wouldn’t have died en route to the monastery for example), there were/are many instances where they could have/can screw up. Part of the set-up was a combination of clear goals (what to find), player investment in the solution (the princess is a PC turned NPC and one that they have been escorting for several sessions rather than a featureless NPC) and the very real chance of failure. There were some lucky rolls, mostly on their side, and some bizarre situations where I was burning through several Bennies a round, but almost certainly one of the Best Games Ever! This entry was posted in roleplaying, savage worlds and tagged Game theory, legend, Savage Worlds, tension. Bookmark the permalink.